Lyft's IPO will test investors' appetite for the most highly valued Silicon Valley companies and for the ride-hailing business, which has become a wildly popular service but remains unprofitable and has an uncertain future with the advance of self-driving cars. Lyft could go public as early as the first quarter of 2019, based on how quickly the SEC reviews its filing, people familiar with the matter said. 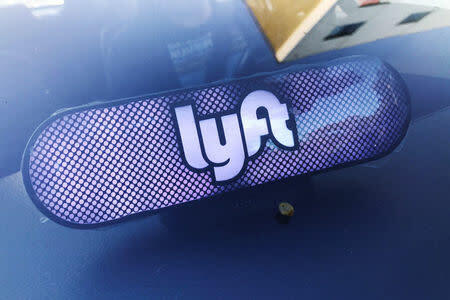 Lyft's valuation is likely to end up between $20 billion and $30 billion, one source added. However, market turmoil fueled by the escalating trade tensions between the United States and China could dampen enthusiasm for the debuts of other 2019 hopefuls like apartment-rental service Airbnb Inc, analytics firm Palantir Technologies and Stripe Inc, a digital payment company. Including Lyft, these round out four of the top-10 most highly valued, venture-backed tech companies. "Market declines mean that the offer price will be lower than otherwise. But there's a danger of waiting to go public as well. Markets could go even lower, and the companies could raise less money if they waited longer," said Jay Ritter, an IPO expert and professor at the University of Florida. In a key test for the U.S. IPO market on Thursday, Moderna Inc is considering selling up to 20 percent more shares than originally planned in its IPO, allaying concerns that the stock market tumult could derail the biggest flotation of a biotechnology company since 2016, Reuters reported. "With autonomous cars on the horizon, it is anyone's guess where this sector goes in the future," said Jeff Zell, senior research analyst and a partner at IPO Boutique in Florida. Lyft in particular is one of the newest entrants to self-driving and has only a small robo-taxi service in Las Vegas using another company's technology. Its investors include General Motors Corp, which holds a 9 percent stake in Lyft that it acquired for $500 million in 2016, but GM has wound down its cooperation with Lyft, choosing instead to acquire the autonomous car company Cruise.